Perhaps it's time to limit the tryptophan dipped turkey sandwiches and sweet potatoes for the Bulls pre game meal. Whatever is going on, the Bulls, to use David Letterman's old expression, are acting very logy lately to start games. Actually, they're also moving a bit like the 70-year-old former late night host. "Obviously, starts are an issue for us right now," agreed Bulls coach Fred Hoiberg with a return match in Oklahoma City Wednesday. "We've got to get off to better starts. We're down 22 at the end of the first quarter the other day (against the Spurs). You've got to find a way to give yourselves a chance early in games." It's been an awful stretch of first quarters since the Bulls led New Orleans by a point after the first quarter Nov. 4. Since then in three consecutive losses, the 2-9 Bulls have trailed by an average of 12 points after the first quarter and 16 points at halftime. The Bulls made runs against Toronto and Indiana, but pretty much gave up Saturday against San Antonio. "We'll experiment with different lineups (in practice) and hopefully get us off to a better start," said Hoiberg. 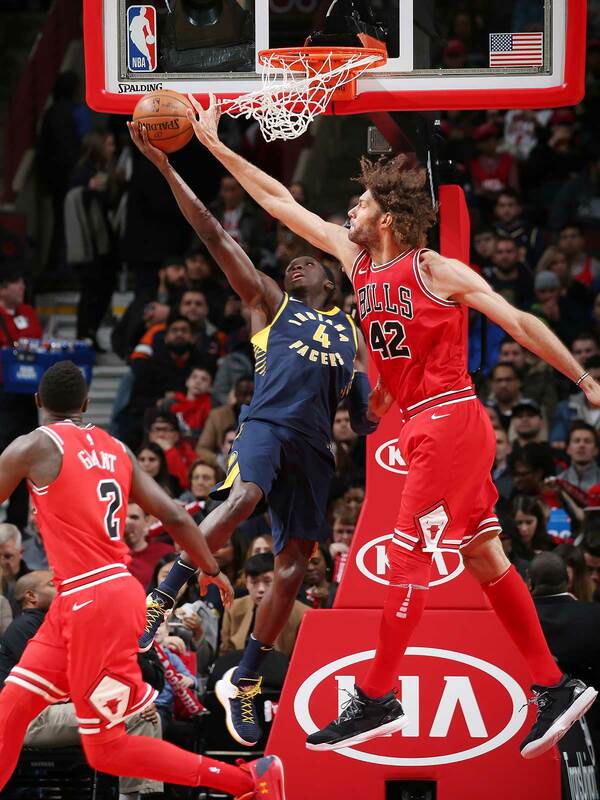 One change is certain for Wednesday with Justin Holiday not traveling after the birth of his first child. 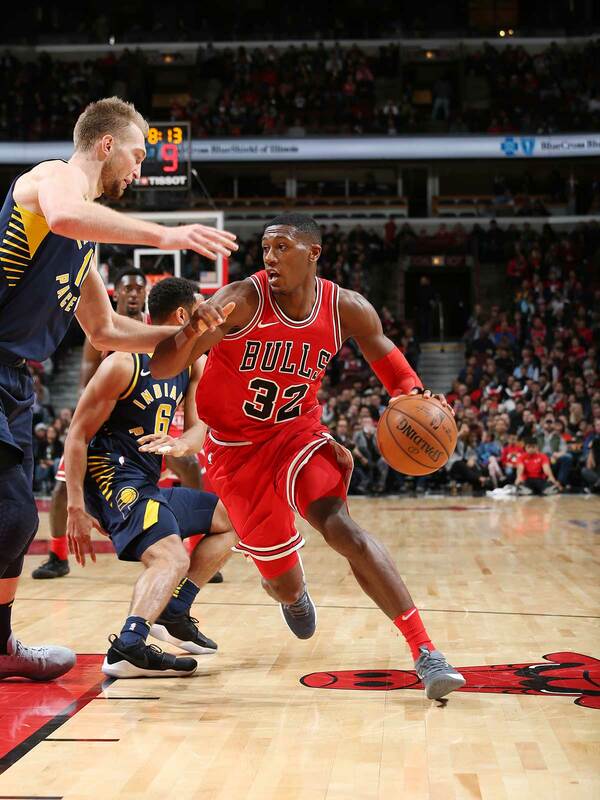 Hoiberg said Kris Dunn likely will make his first Bulls start along with regular Jerian Grant in the backcourt. Hoiberg said the small forward spot is uncertain, though it could be Denzel Valentine given Paul Zipser's deliberate play and excess dribbling in recent games. David Nwaba remains out with a sprained ankle. 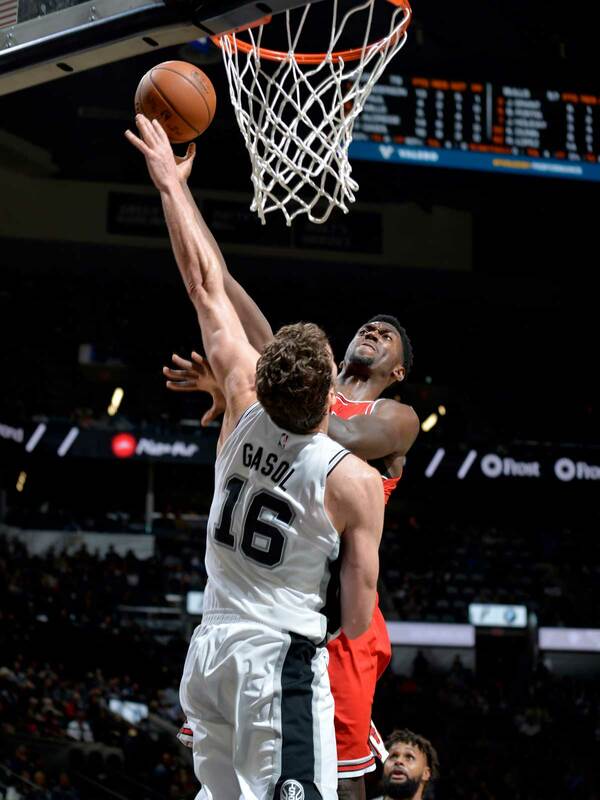 But perhaps it's time to give Bobby Portis a look in a lineup Hoiberg has praised with rookie Lauri Markkanen at power forward. "He's (Portis) played with effort," Hoiberg said. "Every time Bobby steps on the floor, you're going to get a guy who's going to leave everything he's got out there. That's all Bobby can focus on, all our team can focus on at this time, playing with effort. Bobby's been a constant." Which, of course, would mean not starting center Robin Lopez for the first time this season. It wouldn't be punishment since Lopez is having arguably his best season, averaging 14.4 points and 5.8 rebounds and settling in as the acknowledged team leader. You'd worry about pretty much anyone else getting "benched." But there are fewer better teammates in the NBA than the insouciant Lopez. You figure he, more than perhaps anyone, would take it as an opportunity to work with the reserves and support, at least temporarily, what's best for the team. The Bulls have generally opened games trying to space the floor with post passing penetration. And Lopez has had some excellent shooting games. But he tends to be a more deliberate player without three-point range. 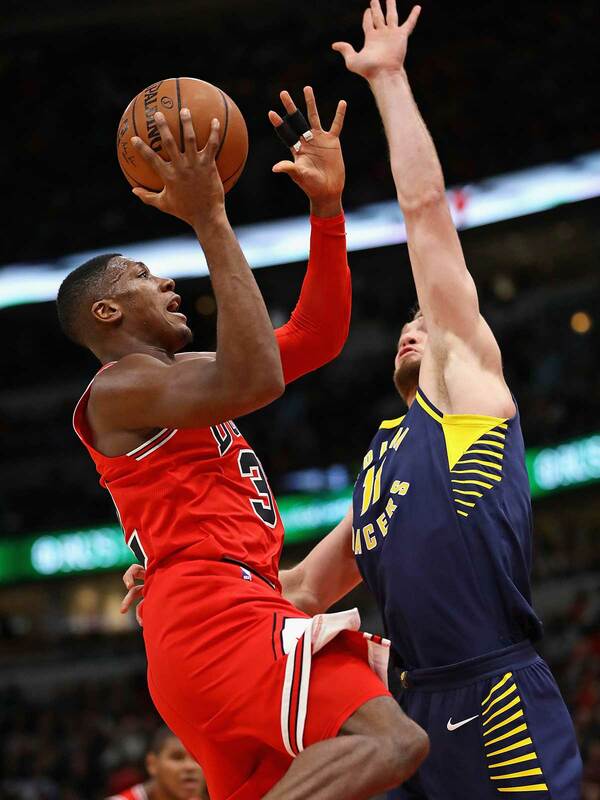 Portis has shot 50 percent on threes, and his unbridled, Billy Mumphrey-type energy and enthusiasm could be just what the Bulls need now for an injection of some cockeyed optimism into the starting unit. Plus, it doesn't hurt that Portis in his three games back from suspension is leading the team in scoring and rebounding at 19.3 points and 10 rebounds. "We've had some slippage with our energy," Portis acknowledged. "I'm trying to bring energy to practice to make us a better team. Trying to get more transition buckets. Trying to get more transition layups, fast break opportunities. I feel like we're playing in half court a lot." The Bulls after a strong start in preseason and early in the regular season with speed and penetration have slowed to a walk out of the backcourt. Both Portis and Markkanen are good rebounders who can handle the ball some to break out of the backcourt and pass ahead. They are the team's top two rebounders. Then it comes to the guards, and that's where Dunn has to supply aggression. The athletic 6-4 guard obtained in the Jimmy Butler trade has played excellent defense. Coming back from injury, he hasn't played enough games to qualify among the league leaders. But he would rank second in steals. His defense has been impressive. But it's not enough, especially for an offensively–challenged team like the Bulls. The Bulls are last in the league in scoring and shooting, next to last in three-point shooting and 28th in pace. They're starting games like they just finished Thanksgiving dinner. Hoiberg has identified Dunn's turnovers tendency as the reason he's remained a backup to Grant. "The biggest thing is the unforced turnovers that have happened," said Hoiberg. "If he's going to make them with aggression and penetrate in there (that's more acceptable). For example, to start the second half (against the Spurs), he just threw one away in the backcourt and gave them a dunk. It's making the right play, but a lot of the turnovers right now, they're unforced. We need to get better at those." Dunn's carelessness with the ball is a problem. He is averaging 3.4 assists and 3.4 turnovers, a poor one to one ratio. Two and a half to one is generally considered appropriate for a point guard. Grant's ratio is 4.6 to one, but he doesn't make creative passes that lead to scores. Just more of the cross court or handoff variety when someone hits a shot. Dunn's issue, it seems, has been hesitancy on offense and an inability to finish strong. Grant doesn't appear to have that ability at the basket, but he is a good shooter. Grant's shooting averages have not been good this season as he's concentrated more on being a point guard. Dunn fits the new point guard mold better with size, long arms and athletic moves. But he often seems to pull up on drives without trying to play through contact. It's surprising since he's strong and his sport growing up was football. Of course, it's still early in his Bulls tenure given his preseason injury and late start to the season. We've got to get off to better starts. We're down 22 at the end of the first quarter the other day (against the Spurs). You've got to find a way to give yourselves a chance early in games. But a lineup with he and Grant in the backcourt and Portis and Markkanen up front might give the Bulls that missing combination of speed and shooting to start games quicker. Markkanen is recovered from his sprained ankle against the Spurs. Though it's a tough challenge for a new group since the Bulls played their poorest game of the season the last time they played Oklahoma City. They lost 101-69 in the United Center, and the Thunder have one of the best defenses in the NBA. So it's incumbent on the Bulls to show the Thunder something different. And faster. Quickly. "I am confident our guys will keep going out there and find a way to get back on track," said Hoiberg. "The last two games, obviously, were very disappointing. The big thing when I watch practices is just how competitive they are. Right now we're playing harder in practice than we are in games. That's going to have to change. I look at that second quarter against San Antonio. We scored on 15 out of 18 possessions. I am seeing a little bit of lack of confidence right now, but we've got to find a way to fix that. When I look at the overall body of work, going back to the summer and the month of September when everybody was back--very competitive. Guys were rising up with confidence making shots. When we don't shoot the ball well right now, we're not bringing the energy we need on the other end of the floor. So it's about building that confidence back up, go out there and compete, give themselves a chance."